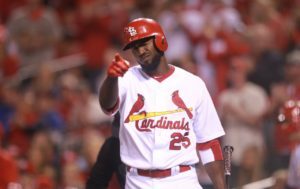 Dexter Fowler singled in the winning run in the bottom of the 13th inning as the Cardinals outlasted the Mets 4-3 at Busch Stadium. New York took a 3-2 lead in the 10th on a bases-loaded walk, but Jose Martinez got St. Louis even again with an RBI double in the bottom half. It took single runs in the seventh and eighth for the Cardinals to come back from a 2-0 deficit and force the extra frames. Marcell Ozuna and Tommy Pham had run-scoring singles for the Cardinals, who take two of three in the series. John Gant got the win, while Paul Sewald took the loss.